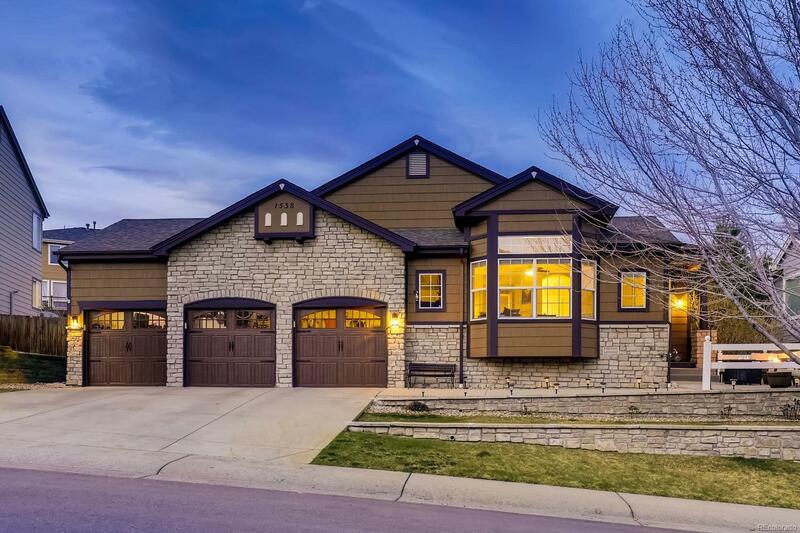 Don't miss this luxurious home in the foothills of Golden! The amount of love and care that has gone into this home is apparent from the moment you arrive, as you view the immaculate exterior and cozy front porch. Upon entering the front door, you'll be struck by the open floor plan, vaulted ceilings, large windows revealing plenty of natural light, and beautiful flooring flowing through the main living space. The spacious kitchen comes complete with granite countertops, gorgeous custom cabinets, stainless steel appliances, and adjacent dining area. The main level is rounded out by two master suites! Head downstairs to enjoy the finished basement with another master suite, large flex space perfect for entertaining, or enjoy a convenient workout in the finished exercise room. The attached 3-car garage means room for toys. With a prime location, you are just minutes from great hiking trails, and a short drive to the best shops, dining and entertainment Golden has to offer. Welcome home!